PlayerUnknown has revealed some cool in-game statistics. All of the numbers surrounding PlayerUnknown’s Battlegrounds so far have been very impressive. The battle royale game has sold six million copies on Steam early access, it has reached 500,000 concurrent players, and Twitch viewers watched 60 million hours of the game this past July. But now, we have a look at some even cooler numbers, thanks to IGN. Brendan “PlayerUnknown” Greene revealed some in-game statistics, including what weapons have gotten the most kills, how most players have died, and even what the longest recorded kill was. 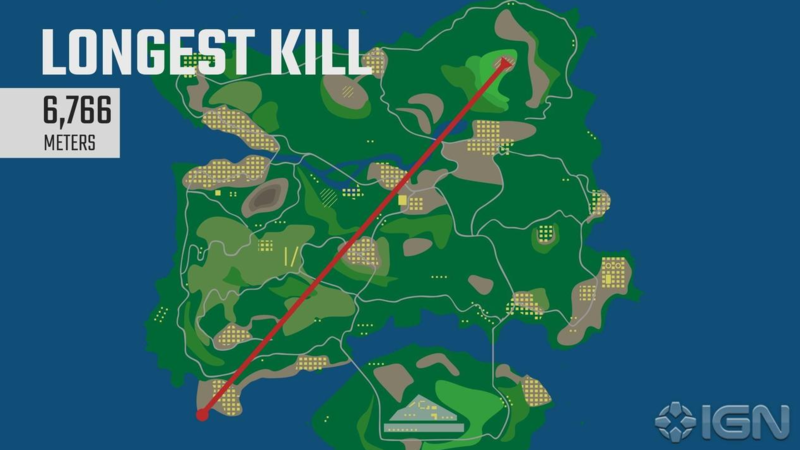 The longest kill in PUBG so far was 6,766 meters away, from Stalber in the Northeast corner of the map, to Primorsk in the Southwest bottom corner of the map, according to Greene. He didn’t specify how this kill happened, but anyone familiar with the map will tell you that this is just insane. Greene also revealed kills by gun type, with assault rifles making up 56.97 percent of all gun kills. Up next was shotguns at 15.59 percent, followed by submachine guns and sniper rifles at 13.73 percent and 8.03 percent respectively. What’s more lethal than guns in PUBG? Nothing, as 703 million deaths were from guns, but the second-most lethal thing in the game has been vehicles, responsible for 147 million deaths. Even the circles are deadly, as 5.4 million deaths were to the ever-expanding blue circle, and 4.32 million have died to the random spawns of the explosive-laden red circle. Greene said that players have traveled over two trillion total meters, both on foot and in vehicles. 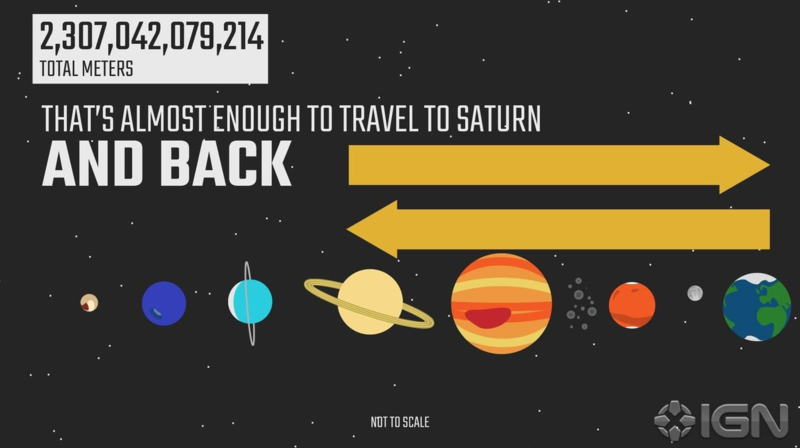 That’s almost enough distance to travel to the planet Saturn and back. All of the data was captured between Mar. 23 and July 19, so the numbers aren’t completely up to date, but they give a great idea of just how popular PUBG has been since its release. And it seems like it’s only getting bigger.